Every so often, you run across a person where you think, “if I weren’t married…” or “if I were young enough to be adopted…”. This might just be one of those cases – perhaps RustyButTrusty needs a poster child, or a mentor, because the seller of this feature is mad enough to qualify. He is selling not one, not two, but three!!! Lotus Elites in various states of disrepair. While we can’t endorse the disrepair, this fellow’s collection does bring out a tear of joy. 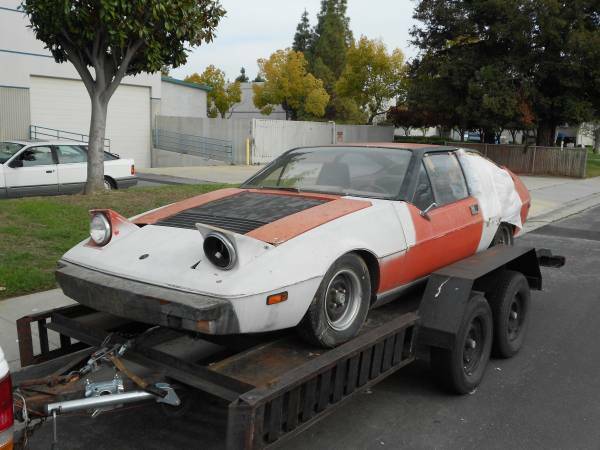 Check out this trio of1977 Lotus Eclats for sale for $2350 each ($1800 for the parts car) in Milpitas, CA. Seller starts his listing with “Yes, STILL for sale.” As if that was a surprise. The black car is a Sprint model – apparently this is a one-year-only model with a different final-drive ratio. It looks almost as if it has John Player aspirations, with the black body and gold wheels. This car is said to have been a 150 mile per day driver, until clutch issues cropped up and the car was put aside. In 1996. So count on a full resuscitation of this one, although the cosmetics look decent – hopefully the California climate mean the frame has no damage. 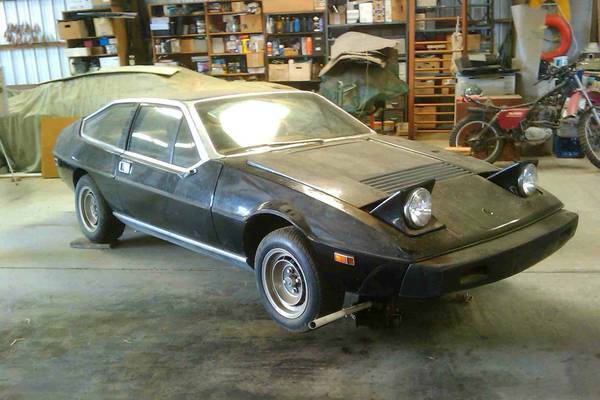 This car is said to have been running until the seller removed the carbs to make the black car run. It looks to have been subjected to a rather thorough repaint, but seems otherwise straight and complete, and would hopefully stand a chance of getting back on the road. 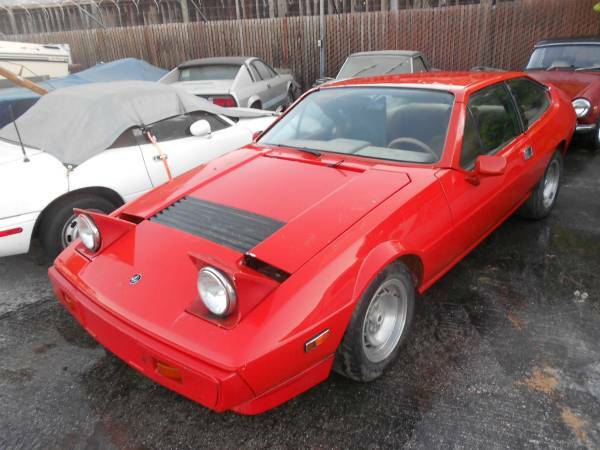 The seller seems to have unintentionally documented the extent of his insanity, with a Mustang II, Spridget, Mazda Miata, and the biggest collection of non-Abarth Scorpion-themed cars (Lancia Beta Scorpion and Merkur Scorpio) showing in the background of the photos. What we’ll call the parts car comes last – evidently the missing window is included, and this car’s damage was limited to a well-contained brake-fluid-on-hot-manifold fire. However, the pictures suggest fixing the fire damage is just the beginning of your troubles when you own 3 Lotus Eclats. Are you mad enough to take on even a third of this collection? This entry was posted on August 23, 2014 at 5:00 am and is filed under Bad Ideas, Feature. You can follow any responses to this entry through the RSS 2.0 feed. You can leave a response, or trackback from your own site. If you check out his ads, look at the other cars in the photo background. Merkur Scorpio, Lancia Scorpion, various British sports cars. Definitely someone I need to meet! That’s a lot of aggravation and headaches for not a lot of money!